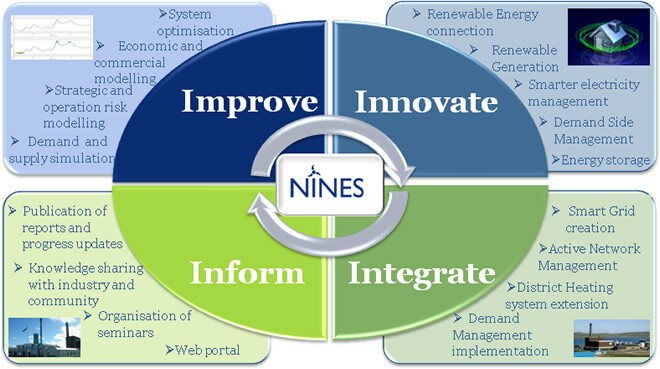 NINES will deploy new electrical, electronic, communication and computing technologies to manage energy in a smarter way. Our project will learn from these trials to ensure that the knowledge gained will be used to support Shetland’s sustainable future. “Our Approach” diagram summarises the key activities of the project – the “Four I’s”: to Improve, Innovate, Integrate and Inform.